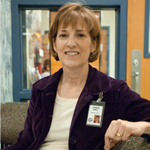 Janice Ertl began serving as the clinic director for the St. Vincent de Paul Virginia G. Piper Medical and Dental Clinics in 1993, leading a staff of 20 and more than 160 volunteers. A Registered Nurse, she holds a master’s degree in health services administration from Arizona State University. “The purpose of my fellowship was to become proficient in Spanish so that I could communicate more effectively with 80 percent of the medical patients at the St. Vincent de Paul Clinics. With that goal in mind, I spent the first four weeks of my sabbatical studying basic Spanish through a Phoenix-based program. At the time of his fellowship, Chris Tompkins was the executive director of the Foundation for Blind Children, an agency serving more than 1,700 clients annually with a staff of 100. The agency provides a variety of services in education, early intervention, individual and parent counseling, Braille literacy training and other assistance programs. 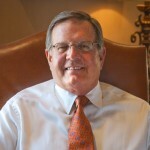 Previously, he served as the executive director of Dallas Services for Visually Impaired Children. He holds a Bachelor of Arts in psychology from Oklahoma City University and a Master of Clinical Psychology degree from North Texas State University. He currently is the Piper Fellows Program Coordinator. “My sabbatical began in late August 2003 and ended in early October 2003. My goal was to study best practices in two areas: online training programs for assistive technology and vision rehabilitation (low vision) programs. During the seven weeks I traveled, I visited 11 organizations in eight cities across the country, interviewing 60 people in leading roles in the two areas of study. “My studies resulted in two major new programs to serve the citizens of Arizona: a new vision rehabilitation clinic to provide low-vision optical examinations, prescriptions and training in a wide range of optical aids, and development of online training programs in assistive technology. For questions or comments about this website contact the Piper Trust Webmaster.